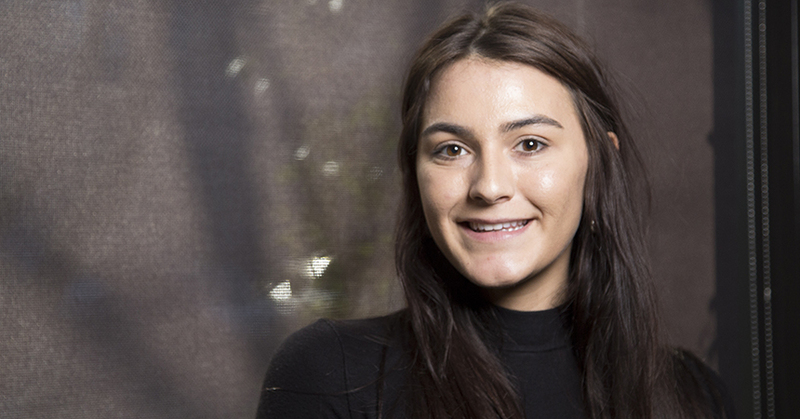 A senior at Portland State University, Energy Trust of Oregon Net Zero Emerging Leader intern Jessica Meylor is finishing her degree in environmental studies with an urban focus. She balances her studies with an internship at Otak, helping them fulfill their AIA 2030 Commitment. The California native is active in promoting sustainability, both through volunteer activities and academic programs. Learning how to create and promote sustainable cities pulled her toward the study of architecture and a future graduate degree. Her Net Zero Emerging Leader internship has also made a sizable impact on her. It has been an incredible experience, she says, to work with passionate architects who are making huge strides in the way they connect buildings with human behavior. Her mentors, Zaq Dohallow and Amy Scheckla-Cox, say she’s helping their team too, by understanding how they can design buildings to perform better. Otak is using this opportunity to educate themselves and share what they learn with the architecture and design community.